You are currently browsing the category archive for the ‘game design’ category. I’m here at ARGFestoCon in Boston, mingling with the faithful and visionary members of the Alternate Reality Game tribe, and the central theme seems to be the future of this genre. Quo vadis? ARGlike experiences are the most affective media experiences out there, period. The ARG idea is growing fast and people are cognitively exploring its frontiers. As a result, the actual term “alternate reality game” has hit its cognitive limit, and new terms are about to emerge to describe these experiences. To date, ARGs have basically fallen into two camps: (1) commercially funded endeavors that tell a story for (ultimately) a marketing reason – often to augment a movie or game story; (2) homegrown endeavors where ARG players use the ARG form to tell their own story (or extend a movie or game story in a fanfic way). As a non-entertainment, storymaking (as opposed to storytelling) experience, the World Without Oil game is on the fringe of the conversations. I moderated a panel that discussed Serious ARGS (ARGs used for serious purposes such as education and training) and also Independent ARGs (non-commercial ones). Panelist Alice Leung, of BBN, described how DARPA is funding research about the effectiveness of ARGs to grow long-term collaborative behavior in organizations. Panelist Brian Clark of GMD Studios gave us an insight into further possibilities in this area: he described an inquiry he had received from a university interested in establishing a 4-year collaborative experience that an entire class of students would play together during their time at the university. Such an augmented reality is a fascinating idea that opens up a treasure trove of possible projects and clients. In my view, however, all these approaches are missing one of the fundamental strengths of ARGlike experiences: the immersive power of storymaking. All of the above are storytelling projects, where people who like to tell stories use the ARG form to people who like to experience them, and there is a level of abstraction or detachment that’s inherently present. In World Without Oil, the players pretty much wrote the story collaboratively. As a result, in WWO there is no abstraction, no external reward, no comfort zone of “oh good, I found what the gamemasters wanted me to find.” There is only the person directly inside the “what if?” reality, and the journey is inward. In this Gamasutra article, game designer Ian Bogost talks about performative play – play which has an affect outside the game world, upon the real world – and uses the World Without Oil game as an instructive example. This is just one of several instances lately where I have been talking or thinking more about how WWO brought reality and an alternate reality together for people, such that they could find it easier to change their lives in preparation for an oil shock. Games make us happy. A simple enough premise when the game is football or soccer or chess or Monopoly. Can the idea be extended? Can it get serious? Can it get real? Can it go global on the Internets? Why not? 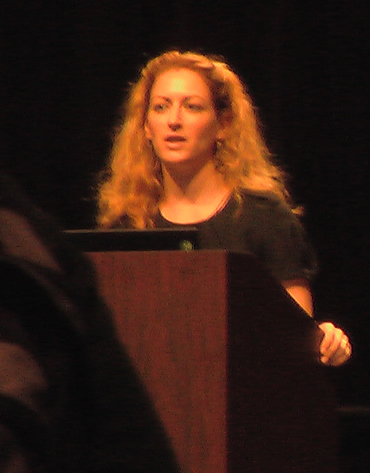 Jane McGonigal talks ARGs, WWO and happiness with Steve Paikin of The Agenda (Canada’s biggest news magazine). Roll tape! Another story about Alternate Reality Games in The Escapist – noting among other things the launch of two other serious/educational ARGs following World Without Oil, Never Rest and Help Me Solve A Mystery.